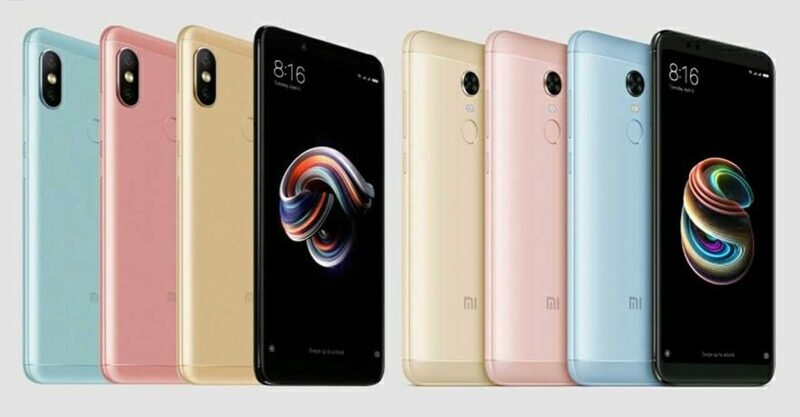 Xiaomi, as anticipated by many in the tech community, has announced the new Xiaomi Redmi Note 5 Pro and Redmi Note 5 in India, following weeks of leaks and rumors and speculation regarding what’s in store for the popular midrange line. They turned out to be in line with what recent reports had suggested. Both smartphones arrive with a rear-mounted fingerprint reader, a 4,000mAh battery that charges via a microUSB port, and Xiaomi’s own MIUI 9 software based on Android Nougat. Pricing starts at ₹13,999 or around P11,339 or $218 for the Xiaomi Redmi Note 5 Pro with 4GB of RAM and 64GB of memory, whereas the 6GB version — also with 64GB of space — has a ₹16,999 or (P13,769 or $265) price tag. The base model (3GB of RAM + 32GB of storage) of the Xiaomi Redmi Note 5 will retail at ₹9,999 (P8,908 or $156). Upgrading the RAM and ROM to 4GB and 64GB will cost you ₹11,999 (P9,719 or $187). 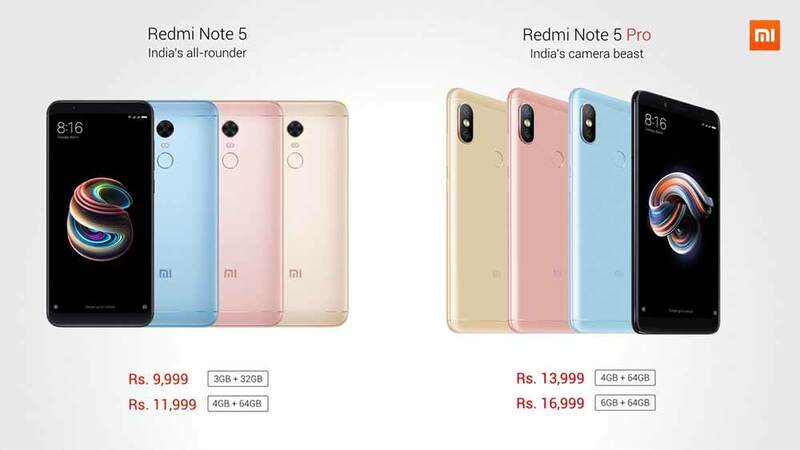 Both handsets will be available online in India from February 22, but the release of the Redmi Note 5 Pro with 6GB RAM is set at a later date. During its presentation, Xiaomi outlined its milestones in India, and also revealed it has become the top smartphone vendor in the world’s second-largest smartphone market, trailing only China. As you may have gathered, the Redmi Note 5 is the successor to the Redmi Note 4, which was the best-selling smartphone in India in 2017. Of the two, the Redmi Note 5 Pro is the bigger reveal of the day, rocking a full-screen, full-resolution display 6 inches in size and two cameras at the back to make creamy blurred backgrounds possible. Xiaomi says its software algorithms allow for better subject detection compared to Apple and Google’s portrait modes. The company also points out that its beauty mode for selfies was developed especially for the Indian market. Both cameras use larger pixel sizes for improved low-light photography. Meanwhile, the selfie camera arrives with a tack-sharp, 20-megapixel sensor and LED light. Face unlock will be added to the device via an over-the-air update by end-March 2018. Better still, the Pro variant is the first to get the latest Qualcomm Snapdragon 636 chipset built using a 14nm process. This means this thing should be more efficient than the Snapdragon 630 and 625 that came before it. And who doesn’t want longer battery life, right? Click on this to see the full specs of the Xiaomi Redmi Note 5 Pro. Same hardware, with a Snapdragon 625 processor in two; same memory configurations; same set of cameras on the front and back. It’s a rehash for a different market. That said, don’t expect the Redmi 5 Plus to eventually and officially find its way to the streets of India. The Redmi Note 5 is, to put it simply, a rebranded Xiaomi Redmi 5 Plus, which we already reviewed. Click on this to see the full specs of the Xiaomi Redmi Note 5.